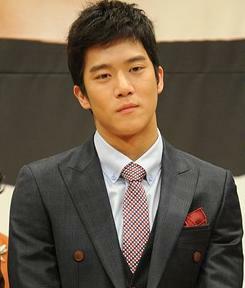 The father of Korean actor Ha Suk Jin passed away at 5pm on the afternoon of April 12th, 2012 at his home located at Goyang-si of Gyeonggi-do due to cardiac failure. When the police arrived the scene, they discovered that the father of Ha Suk Jin comitted suicide by hanging himself on the gas pipeline in the house. He was 56 years old. It is learned that father of Ha Suk Jin suffered from depression since 10 years ago. A related person said that Jang Geun Suk who is the good friend of Han Suk Jin was accompanied him by his side to console him. It is reported that Ha Suk Jin and Jang Geun Suk are both alumni of Hanyang University. They’re famous in the entertainment circle to have good relationship.